I was going to River Downs for years before I started working in the parking lot as a kid. Beulah Park was a once or twice a year trek. – Years later, I returned to RD as the director of marketing. I was 1A of “The Regular Guys” and fun in the sun was the order of the day. – More years passed and I returned as track announcer at Belterra Park and Gaming. – If there was one thing that stayed the same for this racing fan could you name it? – Probably not, because you had to be my shadow to really see. But if you’re an Ohio racing fan this will be an easy answer. – These many years and different jobs one thing has remained a constant. – Perry Ouzts was riding like the wind. Short in stature but big in heart, and one of the most fearless riders I’ve ever watched. – Perry doesn’t claim a foul, and if others claim against him he tells 100% the truth. – Long ago for a Beulah Park trip, the guys from Turfway loved a horse Perry was aboard. We had him in exactas, trifectas, pick-3’s and pick-4’s. Perry was (5-1) and drew off for fun. – When he was summoned to the phone by the clerk of scales, he picked up the phone. ” Yep, I cut him off. Nope, I came over on him. Nope, it was my fault.” – I stood in shock as they took down our blockbuster payday with a gaping mouth along with the others. – But some things are just more important than money. You can’t put a price on integrity and honesty. I’ve seen many of the best speed riders in the game. – Perry was given the nickname “Scoot n Boot” for his ability to get a horse to break on top. When you see him on horseback he has a look like he is sitting in a chair not moving a muscle. – Some riders have to push and whip to get to the lead and others just have a communication with the horse. I think when Perry asks the horse they just respond. He knows many claimers have only so much “juice” to give and he does his on the front end a majority of the time. – He still looks like he’s sitting comfy in that chair, and I can always see where he is just by his motionless action and the small pom-pom on the top of his cap. – Oh, and the other speed rider who was my favorite in Chicago, Churchill or Keeneland was a man by the name of Earlie Fires. – Earlie is Perry’s Hall of Fame cousin whom he grew up with in Rivervale, Arkansas. 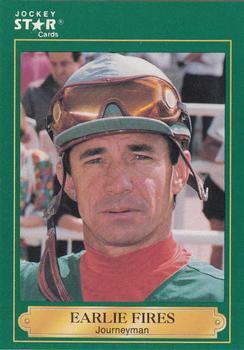 He is just 4 wins away from Hall of Fame retired rider Jorge Velasquez. – It is just a matter of time before he ascends the next rung on the ladder. Being the 10th leading rider in the history of Thoroughbred racing is being inducted into the rarefied air of the very best. The names we read about, and some we had the pleasure of watching. – For me, in my own backyard, it has been a pleasure to watch Perry Ouzts ply his trade. A man of few words who would rather do his talking on the back of a horse. – In the last four years, I have had the best seat in the house calling the races at Belterra Park. 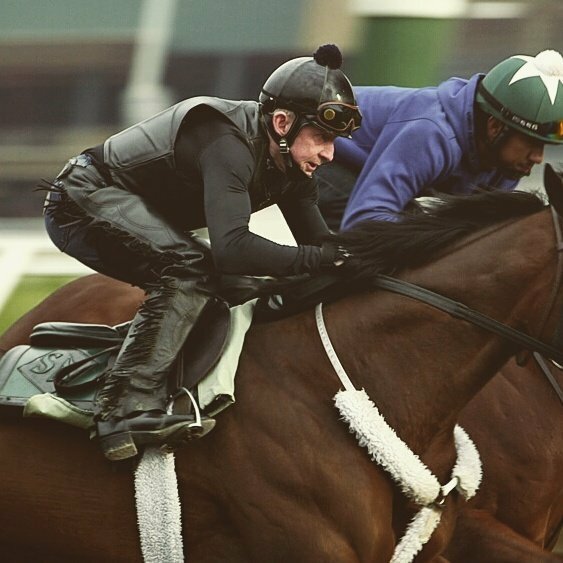 I have noticed that every once in a while Perry takes his horse far away from the others way behind the starting gate in the 6 1/2 furlongs chute. – Just walking slowly and talking to his mount with a hushed quiet tone only they can share. Just a magical zen-like moment where he gets his horse to relax and trust his touch. – In a matter of moments, you can bet dollars to donuts Perry Ouzts will zip to the front and play a game of catch me if you can.